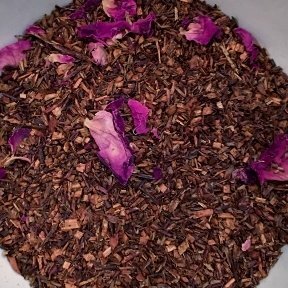 Rooibos blended with oil of Bergamot and vanilla and a sprinkle of rose petals for visual delight. This herbal tea is full-bodied and rich with flavor. With a beautiful balance of Bergamot and vanilla, this will become an instant favorite.